Hemp derived CBD oil continues to fuel the debate and questions as it pertains to if it is legal or not. Technically CBD is legal but that is not stopping law enforcement and other officials from creating large problems for store owners. 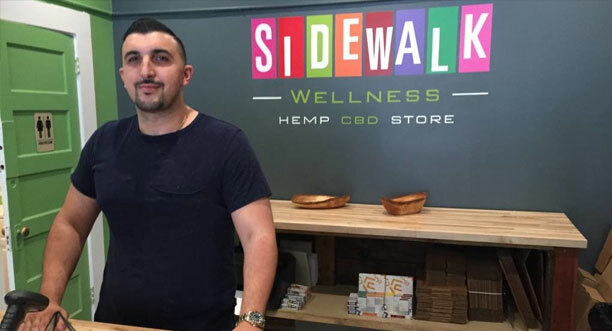 If you’re thinking about opening up a store dedicated to hemp derived CBD products — think again. Gus Daibis, who opened Sidewalk Wellness on 21st Street earlier this month, learned the hard way. The co-owner of the local Sidewalk Juice chain was checking his email last Tuesday when two inspectors from the San Francisco Department of Public Health walked into his store. All of Daibis’s edible items had to be taken off the shelves and put into storage, which for Daiblis, is a major loss — he estimates $25,000 to $30,000. They are not alone. Assemblywoman Cecilia Aguiar-Curry (D-Winters) in January introduced a bill that would legalize the sale of hemp derived CBD edible and cosmetic products. She wanted to protect hemp farmers and had also caught wind of some local enforcement on stores throughout the state. “I don’t need someone going out of business because of this,” Aguiar-Curry told Mission Local. You absolutely CANNOT get ‘high’ or intoxicated by consuming hemp derived CBD Oil or any whole, raw natural product from Industrial Hemp plants for that matter. Unlike “Medical Marijuana” it does not contain the psychoactive properties of THC. Additionally it is well known in scientific research* that CBD is anti-psychoactive.